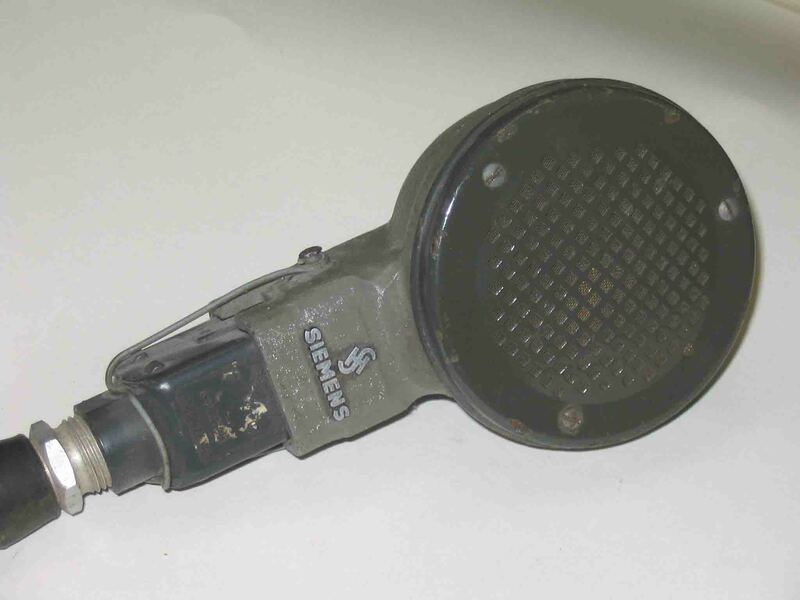 This Siemens microphone is of very unconventional design. The condenser membrane system is loaded with a transformer, as to create a low impedance signal transfer (200 ohms). 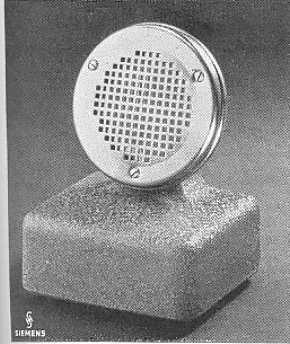 The dc bias was fed in common mode on to the microphone capsule. 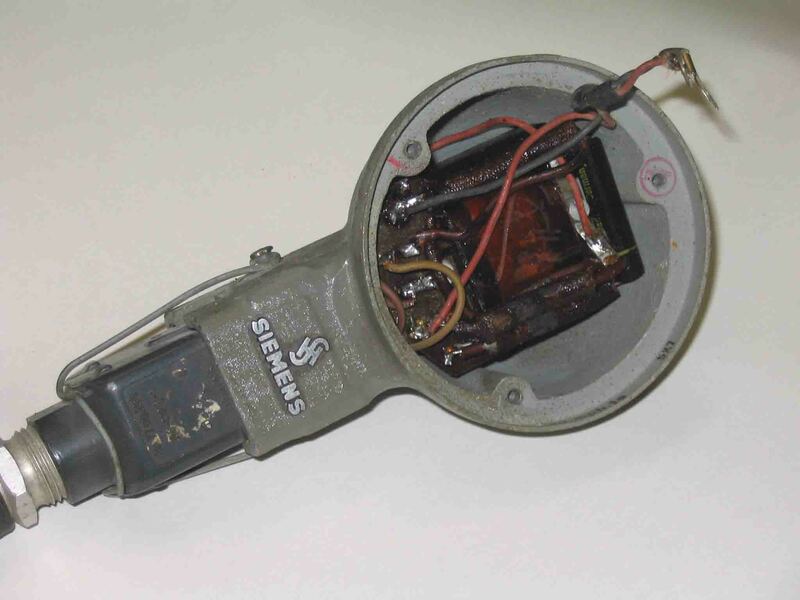 Special is, that Siemens created 7 separate (microphone) sections (see the next photographs and the patent drawing very down at this page), which are electrically connected in parallel. The reproduced acoustic (sound) quality is good. This paper should be regarded a substitution to the Radio Mentor article on the Siemens condenser microphone type SM 7a (SM7a). It, however, is only a transcript of the introduction section. The inventors of Siemens & Halske's patent DE724170 were: Wilhelm Janovsky and Heinrich Bauer. (Application on 26 April 1938; granted 9 July 1942) I have substituted two original patent drawings. 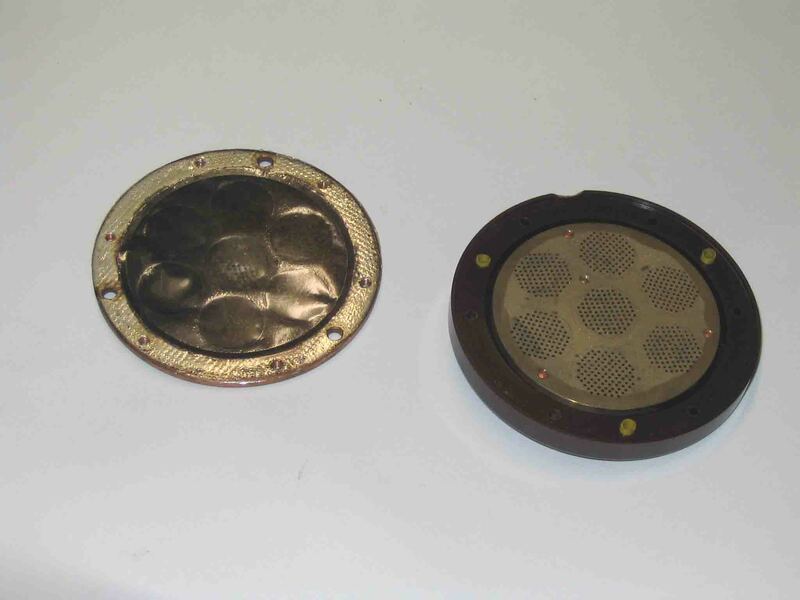 There are strong indications, that Janovsky invented, after the war, in the US his famous "Electret" microphone. The described dielectric membrane of this article, bears already quite long lasting electric charging phenomenon.